Preventive maintenance needs to be done regularly and properly on all HVAC units to ensure each unit’s longevity and efficiency. 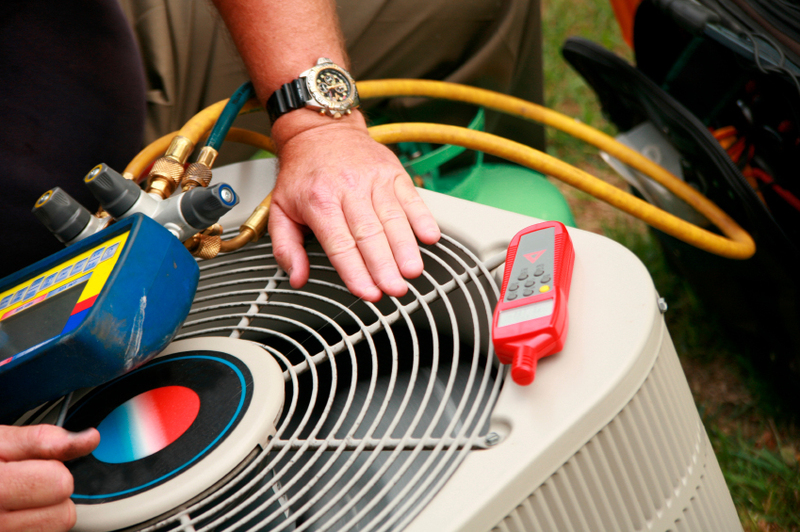 Maintenance is generally performed in the fall for heating units and in the spring for cooling units. Before we get into specific maintenance items, it may be helpful to do a quick review of how a refrigeration system works. Refrigeration may be defined as the act or process in which work is done to remove heat from one body or enclosed space to another body or location. All refrigeration units have four main components: an evaporator (1), a compressor (2), a condenser (3), and an expansion valve (4). 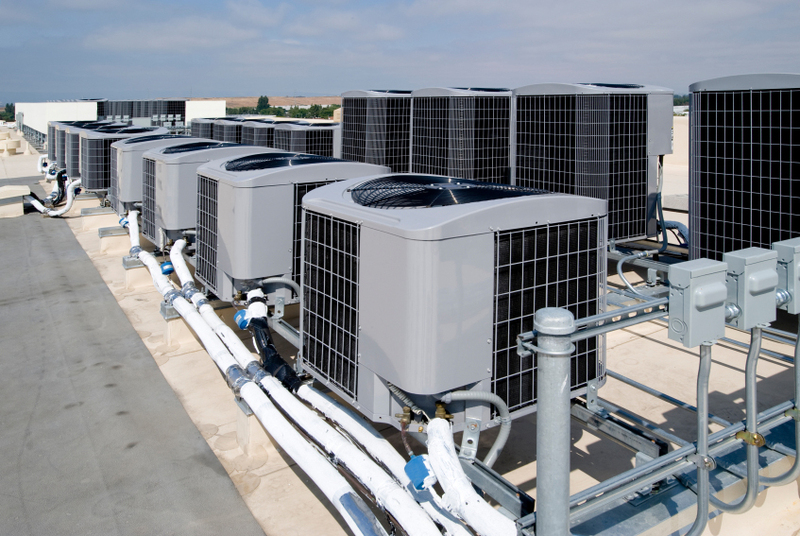 Refrigeration systems also use a refrigerant, which acts as a heat-transfer fluid to transfer heat energy from a material at a higher temperature to a material at a lower temperature. Evaporator - The evaporator is a simple bank or coil of thin-walled tubing. During space cooling, the cool refrigerant flowing within the tubing absorbs the heat from the air passing over the tubing. This cooled air is then directed toward the space, while the superheated refrigerant exits the evaporator coil and heads to the compressor. Compressor - The compressor can be described as the heart of the refrigeration cycle. 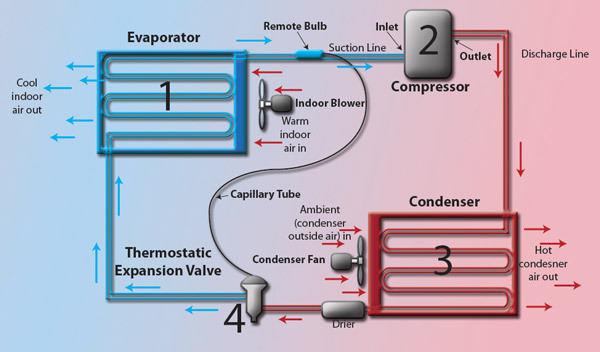 In the compressor, refrigerant is compressed to a high pressure and temperature so that the heat absorbed in the evaporator can be transferred to a cooling medium in the condenser. Condenser - Hot gases travel through the piping system to the condenser, which can be of either the air-cooled or the water-cooled type. The hot gases from the compressor enter the condenser, where a cooling medium absorbs the heat from the refrigerant and carries it away. As the refrigerant cools and gives up its latent heat, it changes into a liquid and drains through the outlet fitting in the bottom of the condenser. Expansion Device - An expansion device, or flow control device, is a fundamental and indispensable component of any refrigerant system. Its main purpose is to permit the flow of refrigerant into the evaporator at the rate needed to remove the heat of the load and to maintain the proper pressure differential between the high and low sides of the refrigeration system. Maintenance tasks can be broken down into outdoor units, indoor units, and what to check for during operation. Inspect unit for proper refrigerant level. Clean dirt, leaves, and debris from the inside cabinet. Inspect base pan, coil, cabinet, and control box. Inspect fan motor, fan blades, and compressor for damage. Inspect blower assembly, burner assembly, ignition system, and safety controls. On older models, lubricate motor, and inspect and replace fan belt if needed. Inspect evaporator coil, drain pan, and condensate drain lines. Inspect heat exchanger or heating elements. Monitor system-starting characteristics and capabilities. Monitor for correct refrigerant charge. Measure outdoor dry bulb, indoor dry bulb, and wet bulb temperature. Check the vent system for proper operation. Monitor the system for correct line and load volts/amps. 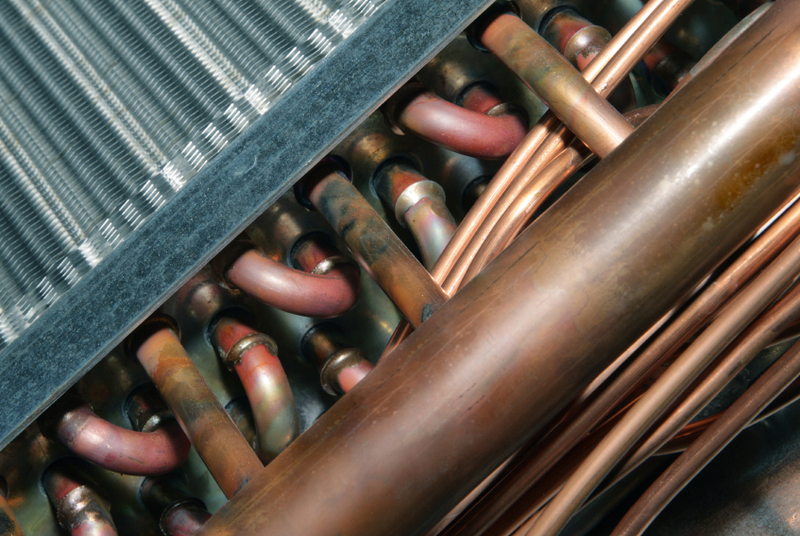 There are many different things that can go wrong with an HVAC unit. Each problem has a list of possible causes. Poor Humidity Control - Many times, with poor humidity control, the problem is something the owner did, like turning off the humidifier at the end of the last heating season and forgetting to turn it back on again, forgetting to open a damper, or forgetting to open a water valve. If the water panel or pad is clogged, the unit will not humidify properly. For in depth information about HVAC Systems, visit the TTS wiki. TTS is your source for all things maintenance and operations, contact one of our Process Improvement Specialists for more information about our services.